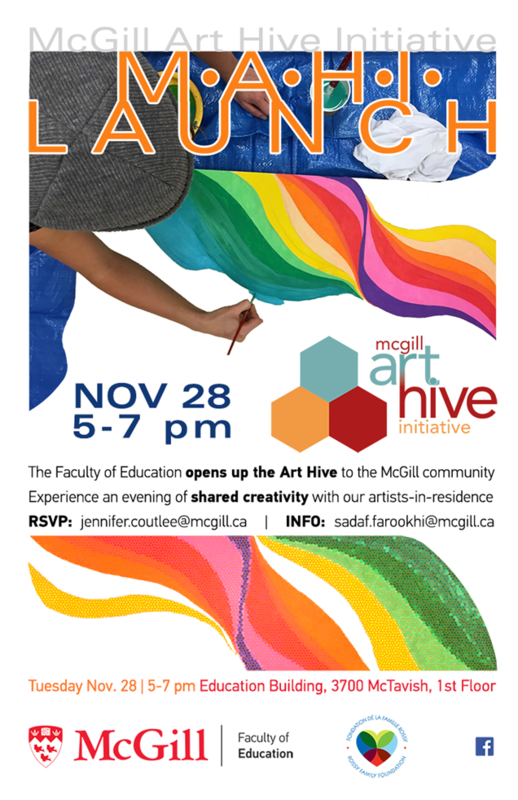 The Faculty of Education cordially invites you to experience the transformative power of shared creativity as we launch the new McGill Art Hive Initiative (MAHI) to the greater McGill community. This initiative is made possible through the generous support of the Rossy Family Foundation, and builds upon the P. Lantz Initiative for Excellence in Education in the Arts. Come and spend some time in our newfound home learning more about what the Art Hive could mean for students, instructors and all the various student support units on campus; getting to know the artists-in-residence, and enjoying exhibitions and screenings.